The TCAN1043xx-Q1 meets the physical layer requirements of the ISO 11898–2 (2016) HighSpeed Controller Area Network (CAN) specification providing an interface between the CAN bus andthe CAN protocol controller. These devices support both classical CAN and CAN FD up to 2 megabitsper second (Mbps). Devices with part numbers that include the suffix “G” are designed for CAN FDdata rates up to 5 Mbps. The TCAN1043xx-Q1 allows for system-level reductions in battery currentconsumption by selectively enabling (via the INH output pin) the various power supplies that may bepresent on a node. 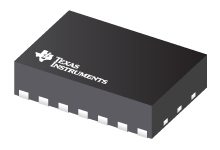 This allows an ultra-low-current sleep state in which power is gated to allsystem components except for the TCAN1043xx-Q1, which remains in a low-power state monitoring theCAN bus. When a wake-up pattern is detected on the bus or when a local wake-up is requested viathe WAKE input, the TCAN1043xx-Q1 will initiate node start-up by driving INH high. TheTCAN1043xx-Q1 includes internal logic level translation via the VIO terminalto allow for interfacing directly to 3.3 V or 5 V controllers. The device includes many protectionand diagnostic features including CAN bus line short-circuit detection and battery connectiondetection. The TCAN1043xx-Q1 meets the ESD and EMC requirements of IEC 62228-3 and J2962-2 withoutthe need for additional protection components.